NASHVILLE, Tenn.–(BUSINESS WIRE)–J. 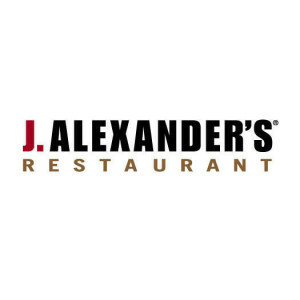 Alexander’s Holdings, Inc. (NYSE: JAX) (the Company), owner and operator of J. Alexander’s, Redlands Grill, Stoney River Steakhouse and Grill and selected other restaurants, today reported financial results for the fourth quarter ended December 30, 2018. The Company’s fiscal year ends on the Sunday closest to December 31 each year and therefore, as fiscal 2018 began on January 1, 2018, the benefit of New Year’s Eve activity, which is typically one of the Company’s highest volume days during the year, is not reflected in the Company’s reported results for any of the periods comprising annual results for 2018. Net sales were $63,205,000, an increase of 3.0% from $61,338,000 reported in the fourth quarter of 2017. 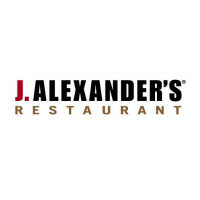 For the J. Alexander’s/Grill restaurants, average weekly same store sales per restaurant(1) were $115,800, a gain of 0.3% from $115,500 reported in the fourth quarter of 2017. For the Stoney River Steakhouse and Grill restaurants, average weekly same store sales per restaurant were $85,400, up 2.4% from $83,400 recorded in the fourth quarter of 2017. The Company recorded a loss from continuing operations before income taxes of $470,000 for the fourth quarter of 2018 compared to income from continuing operations before income taxes of $4,340,000 in the corresponding quarter of the prior year. The principal factor impacting income for the fourth quarter of 2018 was the non-recurring transaction expense of $4,560,000 related to the termination of the consulting agreement (“Consulting Agreement”) between Black Knight Advisory Services, LLC (“Black Knight”) and the Company announced on November 30, 2018 (see “Black Knight Consulting Agreement Terminated” below). The Company funded this obligation on January 31, 2019 through use of cash on hand and eliminated the obligation to pay Black Knight 3% of the Company’s Adjusted EBITDA for the remaining 6.8-year term of the Consulting Agreement. According to termination provisions of the Consulting Agreement, the Company is also required to make a separate cash payment of $705,000 to Black Knight for the pro-rata portion of the 2018 consulting fee within ten days of the completion of its 2018 audit. The final valuation of the Black Knight profits interest grant was calculated at the completion of the vesting period on October 6, 2018 and resulted in profits interest income of $450,000 in the most recent quarter. This compares to profits interest income of $773,000 in the fourth quarter of 2017. The Company also accrued consulting fees of $116,000 under the Consulting Agreement in the fourth quarter of 2018. This compares to consulting fees of $250,000 recorded in the final quarter of 2017. The loss from continuing operations before income taxes for the fourth quarter of 2018 included non-recurring transaction expenses of $4,715,000, up from non-recurring transaction expenses of $1,094,000 in the same quarter a year earlier. Excluding these non-recurring transaction expenses for both periods, the Company’s income from continuing operations before income taxes would have totaled $4,245,000 for the fourth quarter of 2018 compared to $5,434,000 for the fourth quarter of 2017. The Company recorded net income of $934,000 for the fourth quarter of 2018. This compares to net income of $5,340,000 in the fourth quarter of 2017. Results included an income tax benefit of $1,524,000 in the fourth quarter of 2018 compared to an income tax benefit of $1,105,000 in the corresponding quarter of the previous year. The tax benefit for 2018 was the result of a (66%) effective tax rate, driven in large part by the impact of FICA tip credits on lower pre-tax income. The basic and diluted earnings per share totaled $0.06 for the fourth quarter of 2018 compared to $0.36 for the fourth quarter of 2017. Adjusted EBITDA(2) was $7,364,000 in the fourth quarter of 2018, down 9.9% from $8,177,000 in the final quarter of 2017. Restaurant Operating Profit Margin(3) as a percent of net sales was 12.8% in the fourth quarter of 2018 compared to 14.9% for the same quarter of 2017. Cost of sales as a percentage of net sales in the fourth quarter of 2018 was 32.7% compared to 32.1% in the last quarter of 2017. AUSTIN, Texas–(BUSINESS WIRE)–Chuy’s Holdings, Inc. (NASDAQ:CHUY) today announced financial results for the 13-week and 52-week periods ended December 30, 2018. Revenue increased to $96.8 million from $96.0 million in the fourth quarter of 2017. The extra operating week in fiscal 2017 accounted for approximately $7.3 million in revenue in that year. On a calendar basis, comparable restaurant sales increased 0.9%. The Company estimates that unfavorable weather conditions during the fourth quarter of 2018, partially offset by the timing of New Year’s Eve, had a negative impact of approximately 40 basis points on our comparable sales. Net income was $3.4 million, or $0.20 per diluted share, compared to net income of $15.9 million, or $0.93 per diluted share, in the fourth quarter of 2017. Net income in the fourth quarter of 2017 included an $11.7 million favorable adjustment due to the revaluation of our net deferred tax liability as a result of The Tax Cuts and Jobs Act of 2017 (the “Tax Act”) as well as a gain on insurance settlements of $1.4 million ($1.0 million net of tax). Adjusted net income(1) was $1.8 million, or $0.11 per diluted share, compared to $3.2 million, or $0.19 per diluted share, in the same period in 2017. The Company estimates that the extra operating week during the fourth quarter of 2017 contributed $0.07 per diluted share to adjusted net income, which was partially offset by $0.01 per diluted share as a result of the temporary closure of one restaurant due to the damage from Hurricane Harvey during the fourth quarter of 2017. Restaurant-level operating profit(1) was $12.4 million compared to $15.2 million in the fourth quarter of 2017. The Company estimates that the fourth quarter of 2017 had a favorable impact from the extra operating week of approximately $2.0 million. Two new restaurants opened during the fourth quarter of 2018. Revenue increased 7.7% to $398.2 million from $369.6 million in the 2017 fiscal year. The extra operating week in fiscal 2017 accounted for approximately $7.3 million in revenue in that year. On a calendar basis, comparable restaurant sales increased 0.5%. Net income was $5.5 million, or $0.32 per diluted share, compared to $29.0 million, or $1.70 per diluted share, during the fiscal year 2017. Net income in fiscal year 2018 included a $12.3 million ($9.4 million net of tax) non-cash loss related to an impairment of assets at six restaurants. Net income in fiscal year 2017 included a favorable adjustment of $11.7 million due to the revaluation of our net deferred tax liability as a result of the Tax Act as well as a gain on insurance settlements of $1.4 million ($1.0 million net of tax). Adjusted net income(1) was $15.0 million, or $0.88 per diluted share, compared to $16.3 million, or $0.96 per diluted share, during the fiscal year 2017. The Company estimates that the extra operating week in fiscal year 2017 contributed $0.07 per diluted share to adjusted net income in that year, which was partially offset by $0.04 per diluted share as a result of the temporary closure of one restaurant due to the damage from Hurricane Harvey. Restaurant-level operating profit(1) was $60.5 million compared to $64.6 million during fiscal year 2017. The Company estimates that fiscal year 2017 had a favorable impact from the extra operating week of approximately $2.0 million. A total of nine new restaurants opened during 2018. NEW YORK and SCOTTSDALE, Ariz., March 1, 2019 /PRNewswire/ — Paulson & Co. Inc. (“Paulson”), TriArtisan Capital Advisors LLC (“TriArtisan”) and Centerbridge Partners, L.P. (“Centerbridge”) today announced that they have closed a transaction in which Paulson and TriArtisan acquired P.F. Chang’s China Bistro, Inc. (“P.F. Chang’s” or the “Company”) from Centerbridge. The first P.F. Chang’s restaurant opened in 1993 in Scottsdale, AZ, where the Company is still headquartered, and has expanded to become a globally recognized brand known for authentic made-from-scratch Asian cuisine with focus on high-quality, fresh ingredients, and wok-trained chefs. Today the Company has more than 200 company-owned restaurants in operation and over 90 franchised locations globally across 24 countries. BofA Merrill Lynch acted as lead financial advisor to the Company. Barclays also acted as financial advisor to the Company. Weil, Gotshal & Manges LLP served as legal counsel to the Company. Credit Suisse served as Paulson and TriArtisan’s financial advisor for this transaction and Ropes & Gray LLP and Kleinberg, Kaplan, Wolff & Cohen, P.C. served as legal counsel. Founded in 1993, P.F. Chang’s is the first multi-unit restaurant concept in the U.S. to honor and celebrate the 2,000-year-old tradition of wok cooking as the center of the guest experience. Since inception, P.F. Chang’s chefs have been hand-rolling dim sum, hand chopping and slicing all vegetables and meats, scratch cooking every sauce and wok-cooking each dish, every day in every restaurant. P.F. Chang’s Farm to Wok™ menu highlights its wholesome, scratch-cooking approach and introduces new dishes and drinks for lunch, happy hour and dinner. Today, P.F. Chang’s has more than 300 restaurants in 24 countries and territories. For more on P.F. Chang’s, visit www.pfchangs.com. Paulson & Co. Inc. is an investment management firm established by founder and President John Paulson in 1994 with offices in New York, London and Hong Kong. TriArtisan Capital Advisors is an established, New York-based private equity investing firm. TriArtisan’s flexible institutional capital allows it to invest in companies requiring a broad range of investment needs including leveraged buyouts, growth equity investments, spin-offs, carve-outs, roll-ups, recapitalizations and restructurings. In each of its investments, TriArtisan partners with high quality management teams to support them in achieving returns for its institutional and management partners. For more information, please visit the firm’s website at www.triartisan.com. Centerbridge Partners, L.P. is a private investment management firm employing a flexible approach across investment disciplines—from private equity to credit and related strategies, and real estate—in an effort to find the most attractive opportunities for our investors and business partners. The Firm was founded in 2005 and as of September 2018 has approximately $27 billion in capital under management with offices in New York and London. Centerbridge is dedicated to partnering with world-class management teams across targeted industry sectors and geographies to help companies achieve their operating and financial objectives. For more information, please visit www.centerbridge.com. Diversified Restaurant Holdings, Inc. (Nasdaq:SAUC), one of the largest franchisees for Buffalo Wild Wings with 64 stores across five states, announced preliminary unaudited sales results for the fourth quarter and year ended December 30, 2018. DRH also announced that it has entered into an agreement to acquire nine BWW restaurants located in the Chicago market for $22.5 million. Total revenue for the 2018 fourth quarter (a 13-week period) was $39.1 million compared with $41.9 million in the fourth quarter of 2017 (a 14-week period). Fourth quarter, 13-week comparable sales were up 2.2%, the first positive quarter since 2015. For the full year 2018 (a 52-week period), the Company estimates total revenue was $153.1 million compared with $165.5 million in 2017 (a 53-week period). Papa John’s International, Inc. (NASDAQ: PZZA) today announced financial results for the three months and full year ended December 30, 2018. Carrols Restaurant Group, Inc. (“Carrols” or the “Company”) (Nasdaq:TAST) today reported financial results for the fourth quarter and full year ended December 30, 2018. Adjusted net income(1) was $2.4 million, or $0.05 per diluted share, compared to adjusted net income of $3.8 million, or $0.08 per diluted share, in the prior year quarter. Adjusted net income(1) was $13.6 million, or $0.30 per diluted share, compared to adjusted net income of $9.0 million, or $0.20 per diluted share, in 2017. On February 20, 2019 Carrols announced that it had entered into a definitive Agreement and Plan of Merger to acquire 166 Burger King® and 55 Popeyes® restaurants from Cambridge Franchise Holdings, LLC (“Cambridge”) in 10 Southeastern and Southern states. In conjunction with the merger, Carrols has also entered into a new Area Development and Remodeling Agreement with Burger King Corporation (“BKC”) (which will be subject to and effective upon the closing of the transaction with Cambridge) that expands the assignment of BKC’s Right Of First Refusal (“ROFR”) for the acquisition of up to 500 additional Burger King restaurants (excluding the Cambridge restaurants) and also realigns the Company’s ROFR territory to include most of Arkansas, Louisiana, Mississippi, and Tennessee. Additional details on this transaction can be found in the Company’s filings with the Securities and Exchange Commission. Restaurant sales increased 8.4% to $307.8 million in the fourth quarter of 2018 compared to $284.0 million in the fourth quarter of 2017. Comparable restaurant sales increased 2.7%, including an average customer traffic increase of 3.3% that was partially offset by a decrease in average check of 0.6% including 1.7% of increased pricing. Restaurant-level EBITDA(1) was $39.4 million in the fourth quarter of 2018, slightly lower than the $40.4 million in the prior year period. Restaurant-Level EBITDA margin was 12.8% of restaurant sales and decreased 141 basis points from the fourth quarter of 2017 reflecting deleveraging on cost of sales from the higher promotional levels, and the impact of higher restaurant wage costs. General and administrative expenses were $16.8 million in the fourth quarter of 2018 compared to $15.7 million in the prior year period. As a percentage of restaurant sales, general and administrative expenses held at 5.5% compared to the prior year period. Adjusted EBITDA(1) decreased 5.9% to $24.3 million in the fourth quarter of 2018 compared to $25.8 million in the fourth quarter of 2017. Adjusted EBITDA margin decreased 120 basis points to 7.9% of restaurant sales. Income from operations decreased to $7.2 million in the fourth quarter of 2018 compared to $9.9 million in the prior year period. Interest expense held at $5.9 million in the fourth quarters of 2018 and 2017. Cash balances totaled $4.0 million at the end of the fourth quarter of 2018. Net income was $1.8 million for the fourth quarter of 2018, or $0.04 per diluted share, compared to net income of $3.9 million, or $0.09 per diluted share, in the prior year period. Net income in the fourth quarter of 2018 included $0.3 million of impairment and other lease charges as well as a $0.4 million acquisition expenses. Net income in the fourth quarter of 2017 included $0.8 million of impairment and other lease charges and $0.1 million of acquisition expenses. It also included a $0.8 million tax benefit from remeasuring net deferred taxes due the lowering of the Federal income tax rate to 21% under the Tax Cuts and Jobs Act signed into law in 2017. Adjusted net income(1) in the fourth quarter of 2018 was $2.4 million, or $0.05 per diluted share, compared to adjusted net income of $3.8 million, or $0.08 per diluted share, in the fourth quarter of 2017. The Company expects to close 10 to 15 restaurants. The Company has not reconciled guidance for Adjusted EBITDA to the corresponding GAAP financial measure because it does not provide guidance for net income or for the various reconciling items. The Company is unable to provide guidance for these reconciling items since certain items that impact net income are outside of the Company’s control or cannot be reasonably predicted. Carrols is the largest BURGER KING® franchisee in the United States with 849 restaurants as of December 30, 2018 and has operated BURGER KING® restaurants since 1976. Red Robin Gourmet Burgers, Inc., (NASDAQ: RRGB), a full-service restaurant chain serving an innovative selection of high-quality gourmet burgers in a family-friendly atmosphere, today reported financial results for the quarter and year ended December 30, 2018. Comparable restaurant guest counts decreased 4.4%. Total revenues, which primarily include Company-owned restaurant revenue and franchise royalties, decreased 10.8% to $306.8 million in the fourth quarter of 2018 from $343.9 million in the fourth quarter of 2017. Restaurant revenue decreased $37.3 million due to a $24.3 million decrease from the additional week in 2017, a $13.8 million, or 4.5%, decrease in comparable restaurant revenue, a $1.6 million decrease from closed restaurants, and a $0.4 million unfavorable foreign currency exchange impact, offset by a $2.8 million increase in revenue from new restaurant openings. System-wide restaurant revenue (which includes franchised units) for the fourth quarter of 2018 totaled $363.1 million, compared to $404.1 million for the fourth quarter of 2017. Comparable restaurant revenue(1) decreased 4.5% in the fourth quarter of 2018 compared to the same period a year ago, driven by a 4.4% decrease in guest counts and a 0.1% decrease in average guest check. The decrease in average guest check comprised a 0.2% decrease in menu mix, offset by a 0.1% increase in pricing. The Company’s comparable revenue growth is calculated by comparing the same calendar weeks which, for the fourth quarter of 2017, excludes the first week of the fourth quarter and includes the additional week of the fourth quarter. Net loss was $10.6 million for the fourth quarter of 2018 compared to net income of $8.8 million for the same period a year ago. Adjusted net income was $5.4 million for the fourth quarter of 2018 compared to $10.2 million for the same period a year ago (see Schedule I). Restaurant-level operating profit margin (a non-GAAP financial measure) was 19.4% in the fourth quarter of 2018 compared to 20.5% in the same period a year ago. Cost of sales as a percentage of restaurant revenue decreased 10 basis points due to the decrease in ground beef costs, partially offset by increases in steak fries cost and usage and increased dairy costs. Restaurant labor costs as a percentage of restaurant revenue increased 60 basis points due to higher average wage rates and sales deleverage, partially offset by improvements in labor productivity. Other restaurant operating costs increased 40 basis points primarily due to increases in third-party delivery fees, utility costs, and restaurant supplies, partially offset by lower equipment repairs and maintenance costs. Occupancy costs increased 20 basis points primarily due to sales deleverage. Schedule II of this earnings release defines restaurant-level operating profit, discusses why it is a useful metric for investors, and reconciles this metric to (loss) income from operations and net (loss) income, in each case under GAAP. Cracker Barrel Old Country Store, Inc. (Nasdaq: CBRL) today reported its financial results for the second quarter of fiscal 2019 ended February 1, 2019. Compared to the prior year second quarter, comparable restaurant sales increased 3.8% with comparable restaurant traffic increasing 0.1%. Comparable store retail sales declined 1.4%. Comparable restaurant sales and traffic growth outperformed the casual dining industry. Earnings per diluted share were $2.52, compared to prior year second quarter GAAP earnings per diluted share of $3.79 (including a $1.06 per share benefit in Q2 2018 resulting from a one-time non-cash revaluation of the Company’s deferred tax liability in conjunction with the Tax Cut and Jobs Act of 2017) and adjusted earnings per diluted share of $2.73 (see non-GAAP reconciliation below). Operating income margin was 9.5% of revenue, compared to prior year operating income margin of 9.7% of revenue. The Company reported total revenue of $811.7 million for the second quarter of fiscal 2019, representing an increase of 3.0% over the second quarter of the prior year. Cracker Barrel comparable store restaurant sales increased 3.8%, representing a 3.7% increase in average check and a 0.1% increase in comparable store restaurant traffic. The average menu price increase for the quarter was approximately 2.2%. Comparable store retail sales decreased 1.4% from the prior year quarter. Fiesta Restaurant Group, Inc. (NASDAQ: FRGI), parent company of the Pollo Tropical® and Taco Cabana® restaurant brands, today reported results for the 13-week fourth quarter and 52-week full year 2018, which ended on December 30, 2018. Consolidated Adjusted EBITDA increased to $15.8 million in the fourth quarter of 2018 from Consolidated Adjusted EBITDA of $8.9 million in the fourth quarter of 2017 (see non-GAAP reconciliation table below). Shake Shack Inc. (NYSE: SHAK), today reported financial results for the fourth quarter and the fiscal year ended December 26, 2018, periods that included 13 and 52 weeks, respectively. Total revenue increased 29.3% to $124.3 million. Shack sales increased 29.6% to $120.7 million. Operating income was $2.8 million, or 2.3% of total revenue, which included the impact of costs associated with Project Concrete and other one-time items totaling $0.7 million. Shack-level operating profit*, a non-GAAP measure, increased 15.6% to $27.2 million, or 22.5% of Shack sales. 20 net system-wide Shack openings, including 17 domestic company-operated Shacks and three net licensed Shacks. Total revenue increased 28.0% to $459.3 million. Shack sales increased 28.6% to $445.6 million. Operating income was $31.7 million, or 6.9% of total revenue, which included the impact of costs associated with Project Concrete and other one-time items totaling $3.9 million. Shack-level operating profit*, a non-GAAP measure, increased 22.3% to $112.9 million, or 25.3% of Shack sales. Net income was $21.9 million and net income attributable to Shake Shack Inc. was $15.2 million, or $0.52 per diluted share. Adjusted EBITDA*, a non-GAAP measure, increased 14.2% to $73.9 million. Adjusted pro forma net income*, a non-GAAP measure, increased 28.0% to $26.9 million, or $0.71 per fully exchanged and diluted share. 49 net system-wide Shack openings, including 34 domestic company-operated Shacks and 15 net licensed Shacks, representing a net 30.8% increase in system-wide Shack count. During the quarter, the Company opened 17 domestic company-operated Shacks, which included the Company’s first Shacks in Seattle at South Lake Union and Palo Alto at the Stanford Shopping Center, as well as deepening its roots in existing markets across the country. Additionally, the Company opened two international licensed Shacks during the quarter, including the Company’s second Shack in Hong Kong, and a domestic licensed Shack at LaGuardia Airport, marking the Company’s 200th Shack. Winston-Salem, NC (RestaurantNews.com) East Coast Wings + Grill (ECW+G) experienced high-performing returns across several unit-level categories over the last calendar year, according to the casual-dining franchise’s 2018 economic report released today. The findings strengthen the brand’s strategic, data-driven approach and will serve as fuel for its growth plans in 2019. Additionally, as brands across casual dining face growth challenges like higher labor costs and developing organic leads, ECW+G is confident its continued focus on nurturing healthy and sustainable unit-level economics (ULE) will allow the brand to maneuver through these industry impediments. Seven weeks into 2019, ECW+G is off to a promising start. The big game sales on February 3 were up 19 percent over 2018, while same-store sales in January climbed seven percent year-over-year. Ballas is even investigating some opportunities for acquisitions, among brands with equal or smaller units to ECW+G, to accelerate non-organic growth moving forward. North Carolina based East Coast Wings + Grill is a fast-growing, casual, family-dining franchise that puts the spotlight on buffalo wings. The carefully selected menu has a variety of options to satisfy every family member’s taste buds. With more than 60 locations nationwide currently operating or in various stages of development, the burgeoning franchise recently secured itself a top spot on Restaurant Business Magazine’s “Future 50” list of fastest-growing U.S. mid-size restaurant chains for the second consecutive year. Entrepreneur magazine also named East Coast Wings + Grill one of the nation’s top franchise investments and Franchise Times magazine ranked the company No. 383 on its “Top 200+” list of top revenue-producing U.S. franchises. The concept has also been recognized by The Franchise Grade and Franchise Business Review for transparency during the franchise sales process, franchisee support and overall franchisee satisfaction. For more information about East Coast Wings + Grill or its franchise opportunities, visit www.eastcoastwings.com or www.eastcoastwingsfranchise.com. WINTER PARK, Fla.–(BUSINESS WIRE)–Ruth’s Hospitality Group, Inc. (the “Company”) (NASDAQ:RUTH) today reported unaudited financial results for its 13-week fourth quarter and 52-week full year ended December 30, 2018. Restaurant sales in the 13-week fourth quarter of 2018 increased 2.3% to $120.0 million compared to $117.4 million in the 14-week fourth quarter of 2017. Average unit weekly sales were $117.8 thousand in the fourth quarter of 2018, an increase of 0.4% compared to $117.4 thousand in the fourth quarter of 2017. Net income in the fourth quarter of 2018 was $14.9 million, or $0.49 per diluted share, compared to net income of $9.6 million, or $0.31 per diluted share, in the fourth quarter of 2017. Net income in the fourth quarter of 2018 included $0.3 million in acquisition-related expenses associated with the acquisition of the six restaurants from our Hawaiian franchisee. Net income in the fourth quarter of 2017 included a $3.9 million non-cash charge related to the impairment of assets at one restaurant location, $0.6 million in acquisition-related expenses associated with the acquisition of our Hawaiian franchisee, and a discrete income tax charge of $1.2 million primarily related to the reduction of deferred tax assets from the Tax Cuts and Jobs Act. Excluding these adjustments, non-GAAP diluted earnings per common share were $0.50 in the 13-week fourth quarter of 2018, compared to $0.44 in the 14-week fourth quarter of 2017. The Company believes that non-GAAP diluted earnings per common share provides a useful alternative measure of financial performance to improve comparability of diluted earnings per common share between periods. Investors are advised to see the attached Reconciliation of non-GAAP Financial Measure table for additional information. During the fourth quarter of 2018, the Company returned $28.9 million through its dividend program, debt repayment and the repurchase of 464 thousand shares of common stock for $12.6 million. One Company-owned Ruth’s Chris Steak House restaurant, one new franchised restaurant and one restaurant operating under a contractual agreement opened in the fourth quarter. ANN ARBOR, Mich., Feb. 21, 2019 /PRNewswire/ — Domino’s Pizza, Inc. (NYSE: DPZ), the largest pizza company in the world based on global retail sales, announced results for the fourth quarter and fiscal 2018, comprised of strong growth in global retail sales and earnings per share. Global retail sales increased 6.5% in the fourth quarter, or 9.5% without the negative impact of changes in foreign currency exchange rates. U.S. same store sales grew 5.6% during the quarter versus the year-ago period, and 6.6% for the full year, continuing the positive sales momentum in the Company’s U.S. business. The international division also posted positive results, with same store sales growth of 2.4% during the quarter and 3.5% for the full year. The fourth quarter marked the 100th consecutive quarter of international same store sales growth and the 31st consecutive quarter of U.S. same store sales growth. The Company had fourth quarter global net store growth of 560 stores, comprised of 125 net new U.S. stores and 435 net new international stores. In fiscal 2018, the Company opened 1,058 net new stores, comprised of 258 net new U.S. stores and 800 net new international stores, which included surpassing the 10,000th store mark in our international business. On February 20, 2019, the Board of Directors declared a $0.65 per share quarterly dividend for shareholders of record as of March 15, 2019 to be paid on March 29, 2019. This represents an increase of 18% over the previous quarterly dividend amount. Leading fast casual concept opens 26 new restaurants and accelerates expansion across the U.S.
AUBURN, Ala., Feb. 21, 2019 /PRNewswire/ — Chicken Salad Chick, the nation’s only southern inspired, fast casual chicken salad restaurant concept, is reporting significant growth in 2018, opening 26 new restaurants and signing 21 franchise agreements to expand its footprint throughout the Southeast, Midwest and Texas. Additionally, Chicken Salad Chick achieved its 12th consecutive quarter of positive growth, and reported more than $110 million in systemwide revenue and a 10 percent increase in average unit volume (AUV) year over year. Chicken Salad Chick’s ongoing success over the past decade has propelled its national expansion and positioned the brand for explosive growth in 2019. The company will continue to focus on developing franchise and company locations in and outside the Southeast this year, with plans to open 45 new restaurants throughout the Southeast, Midwest and Texas, including its first locations in Ohio and Illinois. In the last three years, Chicken Salad Chick has more than tripled in size, with a 238 percent increase in units open and operating and AUV growth of more than 30 percent. Chicken Salad Chick is actively seeking individuals with an entrepreneurial spirit who possess high energy and enthusiasm about the brand, marketing skills and the ability to manage a strong team. Restaurant experience is preferred. Interested candidates should have a minimum net worth of $600,000 and liquid assets of at least $150,000. Franchisees can expect the initial investment to be approximately $439,500 – $604,500 with a $50,000 initial franchise fee. 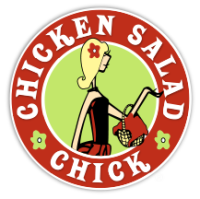 The Chicken Salad Chick concept was established in 2008 by founder, Stacy Brown. With more than a dozen original chicken salad flavors as well as fresh side salads, gourmet soups, signature sandwiches and delicious desserts, Chicken Salad Chick’s robust menu offers a variety of options suitable for any guest. In 2015, Eagle Merchant Partners purchased a majority stake in Chicken Salad Chick, and under the leadership of CEO Scott Deviney and team, the company now has more than 108 restaurants currently open in 13 states and remains a standout brand within the fast casual segment. Founded in Auburn, Alabama, in 2008, Chicken Salad Chick serves full-flavored, Southern-style chicken salad made from scratch and served from the heart. With more than a dozen original chicken salad flavors as well as fresh side salads, gourmet soups, signature sandwiches and delicious desserts, Chicken Salad Chick’s robust menu is a perfect fit for any guest. Today, the brand has 108 restaurants in 13 states and is continuing its rapid expansion with both franchise and company locations. Chicken Salad Chick has received numerous accolades including rankings in Franchise Times’ Fast & Serious in 2019, Fast Casual.com’s top Movers and Shakers, Nation’s Restaurant News’ Next 20 in 2017 and Inc.’slist of the 500 fastest-growing companies in the U.S. in 2016. See www.chickensaladchick.com for additional information. IRVING, Texas, Feb. 21, 2019 /PRNewswire/ — CEC Entertainment, Inc. (the “Company”) today announced financial results for its fourth quarter ended December 30, 2018. Comparable venue sales increased 3.3% in the fourth quarter of 2018 compared to the fourth quarter of 2017, and total revenues increased $6.2 million or 3.1% to $202.9 million in the fourth quarter. The increase in comparable venue sales was offset by a $0.7 million decrease in revenue due to temporary store closures. The Company reported a net loss of $14.2 million for the fourth quarter of 2018, compared to net income of $52.9 million for the fourth quarter of 2017. Fourth quarter 2017 net income was positively impacted by a $66.6 million adjustment to our deferred income tax liability related to the tax law changes enacted in December 2017. Before the impact of this adjustment, our fourth quarter 2017 net loss was $13.7 million, compared to our net loss of $14.2 million for the fourth quarter of 2018. The net loss for the current quarter was positively impacted by the increase in Company-operated venue sales and lower food and beverage costs driven by the favorable impact of commodity prices and volume. These favorable impacts were partially offset by higher labor expenses from wage inflation, and increased entertainment and merchandise costs related to the All You Can Play and More Tickets initiatives we launched nationally in the third quarter of 2018. Additionally, the net loss was impacted by a $2.0 million increase in interest expense driven by the impact of the increase in LIBOR rates on our variable rate debt. Adjusted EBITDA(1) for the fourth quarter of 2018 was $30.9 million, an increase of $4.1 million from the fourth quarter of 2017. 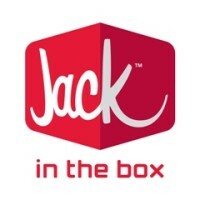 Jack in the Box Inc. (NASDAQ: JACK) yesterday reported financial results for the first quarter ended January 20, 2019. The company completed the sale of Qdoba Restaurant Corporation (“Qdoba”) on March 21, 2018. Qdoba results are included in discontinued operations for all periods presented. Operating Earnings Per Share(1), a non-GAAP measure, were $1.35 in the first quarter of fiscal 2019 compared with $1.23 in the prior year quarter. Adjusted EBITDA(2), a non-GAAP measure, was $83.0 million in the first quarter of fiscal 2019 compared with $85.4 million for the prior year quarter. Lenny Comma, chairman and chief executive officer, said, “Same-store sales improved throughout the first quarter after we pivoted to a more value-oriented approach. While our strategy around value continues to avoid deep discounting which we believe is not in the best interests of the long-term health of the brand, adding value with a bundled offer at an attractive price point allowed us to compete more effectively in this value-centric environment. The company’s Board of Directors and management team, with the support of legal and financial advisors, continue to explore a range of strategic and financing alternatives to maximize shareholder value. Potential alternatives could include, among other things, a sale of the company or executing on the company’s previously announced plans to increase its leverage. The company’s Board has not set a timetable for the conclusion of this process nor has it made any decision related to any strategic or financing alternative at this time. The company has had discussions with potential buyers; however, there can be no assurance that the exploration of strategic and financing alternatives will result in a transaction. That said, in the absence of a strategic transaction, the company remains committed to implementing a new capital structure as soon as practicable. That capital structure could include, among other things, a securitization or bond issuance. The company does not intend to comment further regarding the review unless or until it determines that further disclosure is appropriate or required by law. The Cheesecake Factory Incorporated (NASDAQ: CAKE) today reported financial results for the fourth quarter of fiscal 2018, which ended on January 1, 2019. The Cheesecake Factory Incorporated created the upscale, casual-dining segment in 1978 with the introduction of its namesake concept. The Company, through its subsidiaries, owns and operates 217 full-service, casual-dining restaurants throughout the United States, including Puerto Rico, and Canada, comprised of 201 restaurants under The Cheesecake Factory® mark; 14 restaurants under the Grand Lux Cafe® mark; and two restaurants under the RockSugar Southeast Asian Kitchen® mark. Internationally, 21 The Cheesecake Factory® restaurants operate under licensing agreements. The Company’s bakery division operates two bakery production facilities, in Calabasas Hills, CA and Rocky Mount, NC, that produce quality cheesecakes and other baked products for its restaurants, international licensees and third-party bakery customers. Dine Brands Global, Inc. (NYSE: DIN), the parent company of Applebee’s Neighborhood Grill + Bar® and IHOP® restaurants, today announced financial results for the fourth quarter and fiscal 2018. “Dine Brand’s strong performance in the fourth quarter and throughout 2018 is the result of a clear strategic vision and unwavering commitment to sustainable growth. Both Applebee’s and IHOP have outperformed their respective categories by delivering on comprehensive efforts to drive their businesses and delight guests. The momentum we are seeing is bolstered by meaningful improvements in the in-restaurant experience, ongoing investment in guest-facing technologies, breakthrough marketing and further extending our off-premise platforms for both brands. I am very proud of the Dine teams, our franchisees and their operators and team members for their contributions, hard work and commitment to a multi-pronged strategy and our collective success,” said Steve Joyce, Chief Executive Officer of Dine Brands Global, Inc.
Applebee’s comparable same-restaurant sales increased 3.5% for the fourth quarter of fiscal 2018, achieving the fifth consecutive quarter of sales growth. IHOP’s comparable same-restaurant sales increased 3.0% for the fourth quarter of fiscal 2018, achieving the fourth consecutive quarter of sales growth. IHOP’s reported system-wide sales for the fourth quarter of fiscal 2018 increased 4.5% year-over-year to $863.7 million. Gross profit for the fourth quarter of fiscal 2018 increased 41.9% year-over-year to $98.4 million. GAAP earnings per diluted share of $1.47 for the fourth quarter of fiscal 2018 compares to $3.82 for the fourth quarter of fiscal 2017. The decline was primarily due to a tax benefit of $58.8 million in the fourth quarter of fiscal 2017, partially offset by a $29.0 million increase in gross profit. GAAP net income for the fourth quarter of fiscal 2018 was $27.0 million. IHOP franchisees and area licensees developed 34 net new domestic restaurants in fiscal 2018, marking at least a decade of consecutive net domestic development. For the twelve-month period ended December 31, 2018, the Company repurchased 478,839 shares of its common stock for a total cost of approximately $34.9 million and paid quarterly cash dividends totaling approximately $51.1 million. LOS ANGELES and DENVER, Feb. 20, 2019 /PRNewswire/ — Lemonade Restaurant Group (“Lemonade”) and Modern Market Eatery today announced they have reached an agreement to merge and form Modern Restaurant Concepts, the nation’s leading better-for-you restaurant platform. Lemonade and Modern Market Eatery are portfolio companies of Butterfly, a Los Angeles-based private equity firm specializing in the food sector. As part of the transaction, global investment firm KKR will contribute its investment in Lemonade to the merger and become a shareholder in Modern Restaurant Concepts alongside Butterfly and the management team. Financial terms of the transaction were not disclosed. With a combined footprint of 58 restaurants across 10 markets including Denver, Austin, Dallas, Phoenix, Washington, D.C., Maryland, Los Angeles, San Francisco, San Diego and Orange County, Modern Restaurant Concepts has a national presence with significant room for expansion. The Lemonade and Modern Market Eatery brands will each continue to operate and expand both in existing and new markets via corporate growth in addition to franchising and licensing. Modern Restaurant Concepts will be led by Anthony Pigliacampo and Rob McColgan, Co-Founders and Co-CEOs of Modern Market Eatery, while Larry Kurzweil, most recent CEO of Lemonade, will resume his role as Operating Partner of Butterfly and advisor to the company. Modern Restaurant Concepts today also announced that it has hired seasoned restaurant executive Jim Sullivan, former Chief Development Officer of Carl’s Jr. and Hardee’s parent CKE Restaurant Holdings, as Chief Development Officer. Sullivan brings deep experience in corporate and franchised development and will lead the company in accelerating growth including the initiation of broad franchising and licensing efforts for both concepts. “Lemonade’s merger with Modern Market Eatery is a major inflection point in the development of both brands, and we look forward to joining forces with the Modern Market Eatery team,” said Lemonade Co-Founder Ian Olsen. “After working extensively with Lemonade and Modern Market Eatery over the last few years, we are confident that this merger will combine two powerful brands with an incredible team,” said Butterfly Co-Founder Adam Waglay. “We’re excited to continue to work alongside these two highly-differentiated concepts to expand their footprint throughout the country and internationally,” added Dustin Beck, Butterfly’s other Co-Founder. Kirkland & Ellis acted as legal advisor to Butterfly and Lemonade, while Davis Wright Tremaine acted as legal advisor to Modern Market Eatery. Modern Restaurant Concepts is a national multi-concept restaurant platform focused on better-for-you concepts. The company currently owns and operates two fast casual restaurant brands, Lemonade Restaurant Group and Modern Market Eatery. With a combined footprint of 58 restaurants across 10 markets including Denver, Austin, Dallas, Phoenix, Washington, D.C., Maryland, Los Angeles, San Francisco, San Diego and Orange County, Modern Restaurant Concepts has a national presence with significant room for expansion. Lemonade is a California-based modern cafeteria-style fast casual concept serving a colorful bounty of seasonal, California comfort food. Raising the standard of quality and freshness in the industry, Lemonade entices time-crunched but food-savvy individuals with the simple allure of beautifully prepared salads, hearty braised meats, satisfying sandwiches, decadent desserts, and thirst-quenching, cold-pressed lemonades. Modern Market Eatery is a food forward, sustainable fast casual restaurant concept that operates in Colorado, Texas, Arizona, D.C. and Maryland. Delivering the freshness and flavors of the market in a modern dining format and environment, Modern Market Eatery’s menu of protein-centric bowls, garden fresh salads, toasted sandwiches and brick oven pizzas redefine what it means to eat well at a reasonable price. For additional information about Lemonade and Modern Market Eatery, please visit www.lemonadela.com and www.modernmarket.com. Butterfly Equity (“Butterfly”) is a Los Angeles, California based private equity firm specializing in the food sector, spanning the entire food value chain from “seed to fork” via four target verticals: agriculture & aquaculture, food & beverage products, food distribution and foodservice. Butterfly aims to generate attractive investment returns through deep industry specialization, a unique approach to sourcing transactions, and leveraging an operations-focused and technology-driven approach to value creation. For additional information about Butterfly, please visit its website at www.butterflyequity.com. SYRACUSE, N.Y.–(BUSINESS WIRE)–Carrols Restaurant Group, Inc. (“Carrols” or the “Company”) (Nasdaq:TAST), the largest Burger King franchisee in the U.S., today announced that it has entered into a definitive Agreement and Plan of Merger to acquire 166 Burger King® and 55 Popeyes® restaurants from Cambridge Franchise Holdings, LLC (“Cambridge”) in 10 Southeastern and Southern states. In addition to its strong restaurant portfolio in these attractive geographies, Cambridge has an established track record of developing both new Burger King and new Popeyes restaurants that the Company believes will benefit Carrols’ stockholders and broaden its capital allocation and growth opportunities. The transaction will be structured as a tax-free merger. Cambridge, which is controlled by Garnett Station Partners’ Managing Partners Matt Perelman and Alex Sloane and owned by some large and highly respected family office investors, will receive approximately 7.36 million shares of Carrols common stock, and at closing will own approximately 16.6% of Carrols’ outstanding common shares. Cambridge will also receive shares of 9% PIK Series C Convertible Preferred Stock that will be convertible into approximately 7.45 million shares of Carrols common stock at $13.50 per share (a 44% premium to the $9.35 closing share price on February 19, 2019). The conversion of the preferred stock received by Cambridge will be subject to a vote of Carrols’ stockholders which will occur at the Company’s 2019 Annual Meeting of Stockholders, and will automatically convert into common stock upon stockholder approval of such conversion. All shares issued to Cambridge are subject to a two year restriction on sale or transfer subject to certain limited exceptions. As part of the transaction, Cambridge will have the right to designate up to two director nominees and Perelman and Sloane will join the Carrols Board of Directors upon completion of the merger. Including approximately $100 million of net debt assumed from Cambridge, the transaction value of $238 million based on the Company’s February 19, 2019 closing share price, values Cambridge at approximately 5.0 to 5.5 times pro forma restaurant-level EBITDA (based on September 30, 2018 results, with pro forma adjustments for acquisitions completed in 2018 and the assumed sale-leaseback of approximately $25 million of fee owned property). On a fully-diluted, as-if converted basis after giving effect to both the conversion of the Cambridge and Burger King Corporation (“BKC”) convertible preferred stocks to common stock, Cambridge would hold an approximate 24% equity interest in the Company. There is no cash consideration as part of the transaction. Carrols expects to refinance the existing Cambridge debt assumed as part of the transaction, along with the Company’s existing debt, through a new senior secured credit facility providing for term loan and revolving credit borrowings under a fully committed financing provided by Wells Fargo Bank, National Association and arranged by Wells Fargo Securities, LLC. The closing of the merger with Cambridge is not, however, conditioned on financing. After giving effect to the transaction and the refinancing, the Company expects that total debt will be under 3.0 times Adjusted EBITDA, and believes that along with an expanded revolving credit facility, it will have sufficient liquidity to fund its investment and growth plans. Under Carrols’ existing agreement with BKC, it is currently pre-approved for expansion and holds assignment rights to BKC’s Right of First Refusal (“ROFR”) in 20 states until it reaches 1,000 restaurants. 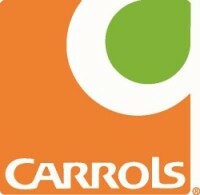 In conjunction with the merger, Carrols has entered into a new Area Development and Remodeling Agreement with BKC (which will be effective upon the closing of the transaction with Cambridge) that expands the assignment of BKC’s ROFR for the acquisition of up to 500 additional Burger King restaurants (excluding the Cambridge restaurants) and also expands the Company’s ROFR territory to include most of Arkansas, Louisiana, Mississippi, and Tennessee. The Company has agreed to relinquish its right to BKC’s ROFR in certain states where it is not currently expanding (Connecticut, Delaware, Massachusetts, New Hampshire, New Jersey, New York, and West Virginia). As part of the agreement with BKC, Carrols has also agreed to develop 200 new Burger King restaurants over the next six years and to remodel or upgrade certain of its restaurants (or restaurants to be acquired) to the Burger King of Tomorrow image over the same period. The acquisition and the new Area Development and Remodeling Agreement with BKC will expand Carrols’ capital allocation alternatives and growth opportunities to include: (i) Burger King acquisitions (expanded ROFR cap permits acquisition of another 500 Burger King restaurants), (ii) Burger King new restaurant development, (iii) Popeyes acquisitions including a ROFR for Popeyes in Tennessee and Kentucky and (iv) Popeyes new restaurant development. The Company believes that Cambridge will provide Carrols with a platform and relationships to grow within the Popeyes brand. Cambridge has already built a Popeyes business with 55 Popeyes restaurants in Kentucky, Louisiana, Mississippi and Tennessee and has additional growth opportunities through both acquisitions and new restaurant development. As part of the transaction, the Company will assume Cambridge’s existing Development Agreement with Popeyes, which provides for an acquisition ROFR in Tennessee and Kentucky and the development of approximately 70 new Popeyes restaurants over the next six years.